Winters in Bucks County can get quite frigid, so you need to know your home or business heating system will be there for you when you need it. At Robaire Company, Inc., we have been offering our professional heating services to your area for over 30 years. Whether you need a commercial or a residential heating contractor for maintenance, repair or installation, we are here for you. 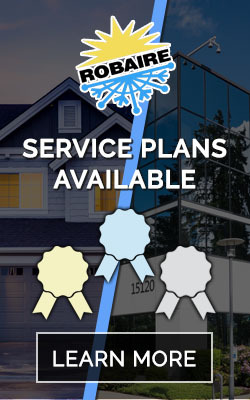 You should not wait until your heating system becomes completely inoperative before calling our highly trained professionals at Robaire Company, Inc. to check your system and do any needed maintenance. Even if your system is working, it may not be operating at peak efficiency, which can be costing you money. From our Levittown location, we can easily reach and service your home or business in Fairless Hills, Newportville, Bensalem, Langhorne or Morrisville. As mentioned above, we can handle all of your residential and commercial heating needs, and we do so quickly and affordably. When summer arrives, the heat can get pretty bad in Bucks County. We are trained to service, maintain and replace all types of air conditioning units. Manage your thermostat, door locks, lighting, blinds and shades and other home systems from anywhere in the world with your computer or smartphone. It’s hard to fix a problem if you don’t know what it is. Our HVAC professionals will check a myriad of factors that may result in your home losing energy such as your furnace, insulation, holes in roof, walls or joints and more. Our experienced contractors know how to service and maintain all types of commercial refrigeration to keep your business up and running. If you’re one of the millions of homeowners who prefer a boiler to keep your home warm, we can keep it running at peak efficiency for the long term. We also service, maintain, install or replace all of the above types of heating units at any place of business. When you run a company, you always have to keep an eye on your bottom line. You don’t want to be paying any more than you have to in the case of a heating system not running at peak efficiency, and you certainly can’t afford downtime from your business closing due to a broken system. At Robaire Company, Inc., we are here for all your commercial maintenance and installation needs. We’ve Been Serving Bucks County and Beyond for Decades! Founded in 1985, our HVAC technicians have been building the reputation of our professional heating services company one customer at a time. Our skilled technicians receive ongoing training, and they’re expert at service and installation of all makes and models of heating, cooling and refrigeration systems.